Like many other Web sites, WinampHeritage.com makes use of log files. The information inside the log files includes internet protocol ( IP ) addresses, type of browser, Internet Service Provider ( ISP ), date/time stamp, referring/exit pages, and number of clicks to analyze trends, administer the site, track user’s movement around the site, and gather demographic information. IP addresses, and other such information are not linked to any information that is personally identifiable. We use Google Analytics, a web analytics service provided by Google that places cookies on your device. The information generated by the cookie about your use of the Website (including your IP address, which is where you are found on the internet) will be transmitted to and stored by Google on servers in the United States. Google will use this information for the purpose of evaluating your use of the Website, compiling reports on website activity for website operators and providing other services relating to website activity and internet usage. Google may also transfer this information to third parties where required to do so by law, or where such third parties process the information on Google's behalf. Google will not associate your IP address with any other data held by Google. 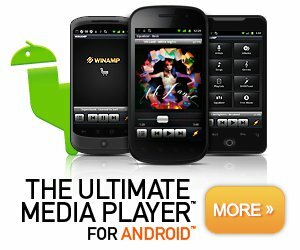 WinampHeritage.com has no access to or control over these cookies that are used by third-party advertisers.